Children can explore hands-on science exhibits and experience a diverse community of live animals at the Junior Museum & Zoo. 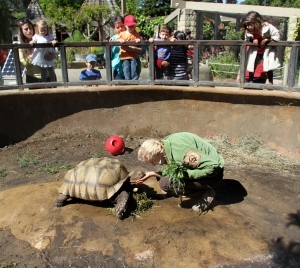 The zoo includes more than 50 species, including jungle bats, hedgehogs, fresh water fish and a giant tortoise. It's open Tuesday through Saturday from 10 a.m. to 5 p.m., and Sunday 1-4 p.m. A $5 donation per person is suggested.